Unless you’ve been hiding under a rock, you’ve likely noticed you can practically grab a craft beer on every corner no matter where you go. Large to small brewers are popping up at an rapid pace aiming to bring you the most delicious choices from around the world. Not a huge problem to have but how do you decide which one to order? 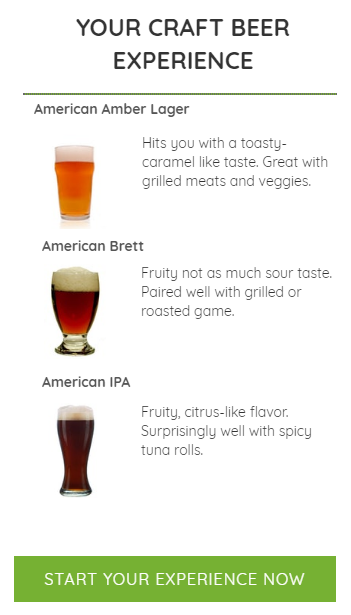 Similar to wine, craft beer has a direct correlation with different types of food. When paired together precisely, it creates an amazing experience for consumers around the world. 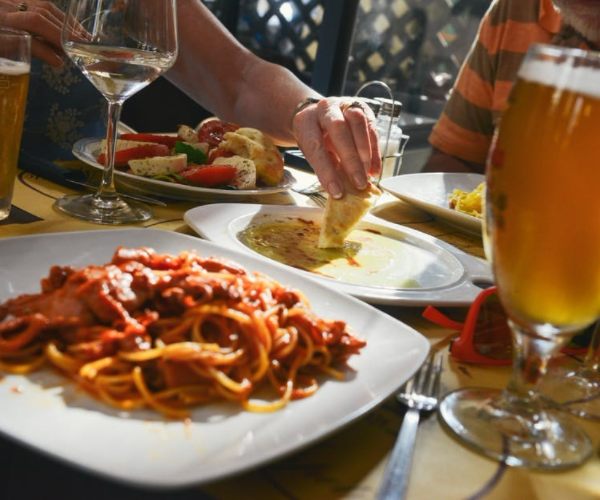 In fact, according to the Brewers Association, 63% of consumers are choosing craft beer based on the food they are planning to eat. Like a artist creating his/her work of art on a canvas, brewers around the world create their art which can be consumed through our taste. It’s a different experience than consuming your traditional beer options that we now and still love. Craft beer all by itself while still great, it’s the food that it’s paired with that creates the magical experience many consumers enjoy. We take you through a series of brief multiple choice questions asking you about your essential everyday food and drink preferences. This helps us to better determine which of our 3500+ beer options to pair you with. In addition to the beer we provide you with recipes to compliment the beer being delivered to you. It’s up to you to either cook your meal at home (our preference) or order a meal at one of your local restaurants. 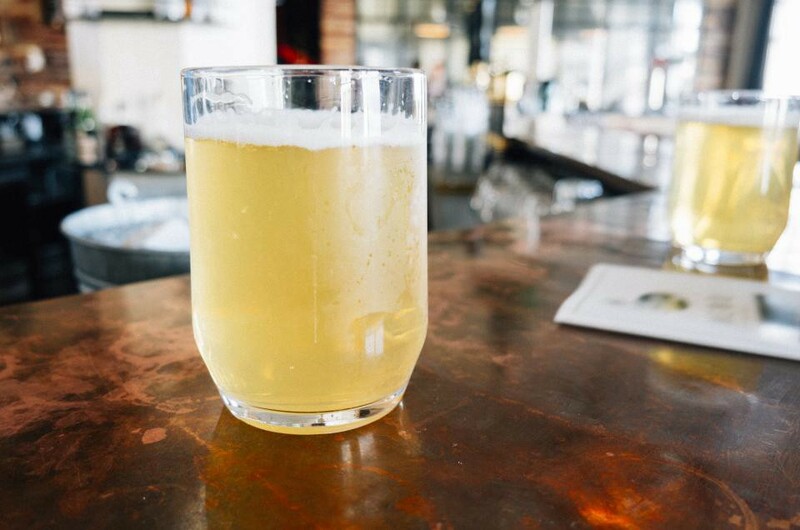 Getting a craft beer is more than just showing up at your local brewery or bar to place an order. It’s an experience, one that compliments your palette. Brew Tenders mission is to make our customers more confident, knowledgeable, and to enhance they way they enjoy their craft beer & meals. More than just recommending any craft beer alone by itself, by sharing with your friends, family, or co-workers which meal it goes well with. 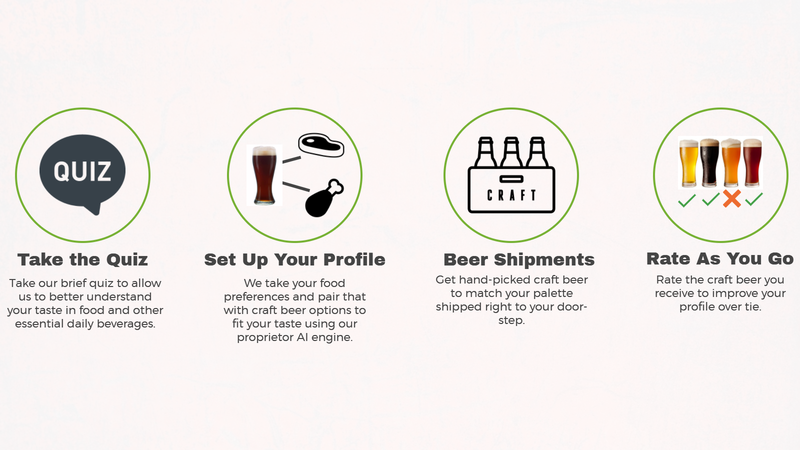 We match you to 3500+ craft beer options personalized to your taste & palette using Artificial Intelligence.